The final month of the year, during which I gave two important talks, proved a great finale for Sevastopol’s Wars in 2017 – the very positive feedback from both events was highly encouraging. As a bonus, good numbers of books were sold. 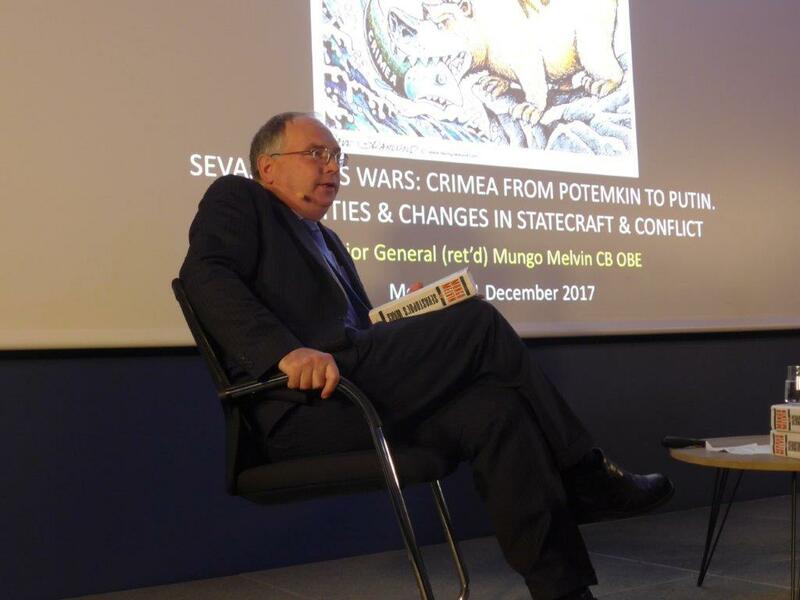 Major General (ret’d) Mungo Melvin speaking about the history of Crimea and Sevastopol at the GB-Russia Society, 11 December 2017, in London (image courtesy of Katrina Warne). On Monday, 11 December, I presented at the London-based Great Britain – Russia Society at the Open Russia premises at 16, Hanover Square. Over 50 people, about a half of whom had visited Crimea and Sevastopol, and many of which were Russian speakers, attended my illustrated talk, entitled Sevastopol’s Wars: Crimea from Potemkin to Putin – Continuities and Changes in Statecraft and Conflict. The whole evening was a huge success, and particularly your talk, which conveyed not only a wealth of fascinating historical and military facts, but which you delivered with such emphatic authority, clarity, conviction and precision – a wonderful communicative skill that you had obviously acquired and mastered in the course of your long career … We do manage to hear from several leading experts in their chosen field, but in terms of communication your presentation, without referring to a single note, is the finest that I have ever heard since I joined the Britain-Russia, British East West Centres (the forerunner of this Society) in 1996! Such fine praise is most appreciated: thank you Mr Salbstein. Not only did I sell many books during the evening, but also several people, who had previously purchased copies, asked me to sign theirs – always a great pleasure for an author! 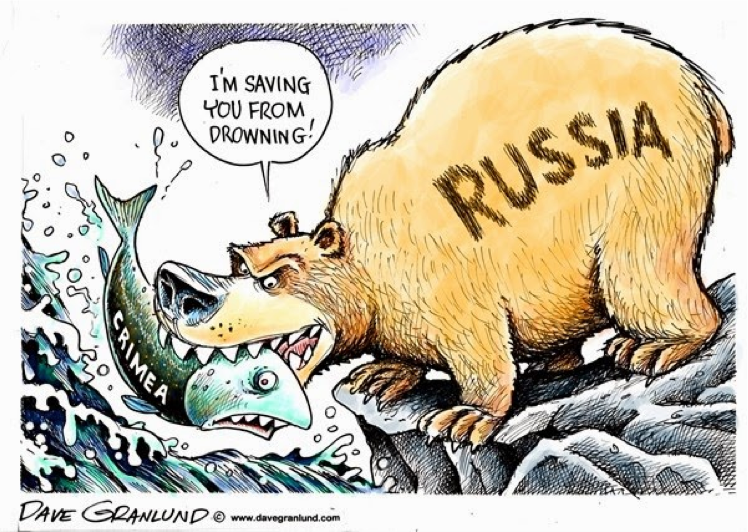 Russia and the Crimea – A Memorable Cartoon © Dave Granlund (but one that may cause offence to some Russian readers, for which my apologies). Sevastopol’s Wars attempts to offer a balanced perspective of the events of 2014. The second main speaking event took place under the auspices of the Keele World Affairs series of talks held at Keele University on Thursday, 14 December. To a packed audience of well over 300 people I gave the concluding talk of the year – Understanding Russia Today: Crimea from Potemkin to Putin. This event had been well advertised on the Keele World Affairs website, and coincided with an early Christmas supper before my talk. After my presentation of about 50 minutes, I signed many books (courtesy of Blackwell’s) during the interval. I then returned to the lecture hall for a fascinating question and answer period, in which my historical analysis and opinion on current events was well probed by a well informed audience. … on behalf of Keele World Affairs members … thank you again for a marvellous evening. I’m sure you could tell by the sustained applause how successful an occasion it was and how they appreciated both your expertise and your candour, both of which members look for and admire in equal measure. … Our little element of theatre at the start [a video of Sevastopol with the soundtrack of Legendary Sevastopol] added to the event and I can safely say that the whole meeting upheld our goals of furthering lifelong learning; although we have discussed Russia before, you will have created deeper understanding for a very large group of people. Again, such generous words are most appreciated. Thank you Bill, and my gratitude to all the members of your splendidly efficient and kind hosting team. I can thoroughly recommend Keele World Affairs. 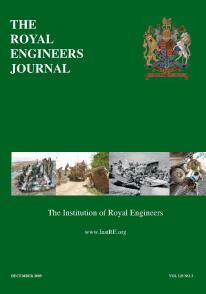 Cover of the RE Journal, December 2017, which features a detailed review of Sevastopol’s Wars. … Melvin skilfully articulates the current political positions as affecting the Crimea and the eastern Ukraine. He recognises the pride the Russians have in being charge of the city [of Sevastopol], the port and the Black Sea Fleet. … The author draws attention to modern strategic analysis encompassed within the term “multi-dimensional war” to achieve political goals. The Epilogue brings this monumental work to a fitting conclusion. … [Melvin] has made the historical development of the Crimea readable, informative and factual. His asides colour the text as appropriate, drawing on his real military experience. For readers wishing to gain a deeper understanding of what motivates the Russian Bear, “Sevastopol’s Wars” gives a sound start. Thank you George Bailey for such a comprehensive and insightful review! And to all my readers, I wish you a very Happy Christmas and a Healthy and Prosperous New Year 2018!